When it comes to global issues like climate change, it makes sense for the globe itself—or at least a part of it—to become a living laboratory. Shenandoah University business professor Giles Jackson has done just that with his Bidoup Field School launched earlier this year at Bidoup Nui Ba National Park (BDNP), a UNESCO Biosphere Reserve located in the central highlands of Vietnam. The program is aimed at increasing the understanding of endangered tropical environments threatened by climate change. Jackson is also coordinating directly with the Sullivan Foundation, using Foundation grants to expand his knowledge in the area of environmental management of international tourism development at Harvard University. He’ll also be producing a case study about the field school for Sullivan so that students of social entrepreneurship may benefit from the lessons learned. How will climate change impact seasonal temperature or rainfall patterns, and forest health and integrity? What will be the effects of rising competition among species for light, water, or nutrients? How will biodiversity be impacted and what will the consequences of biodiversity loss be? What will such changes mean for the local indigenous populations who depend upon these ecosystems for their survival? How does one build science-based policies to mitigate or adapt to these environmental changes? Brendan Buckley, Ph.D., co-founder of the Bidoup Field School, began a program of climate research in the region several years ago, with support from the National Science Foundation. Jackson reached out to Buckley last fall while he and his Shenandoah students were conducting research for a nascent science-ecotourism project in the West Indies. Jackson built the field school website and set up a secure payments system during the summer of 2015. A tourism component has already been built into the January 2016 field school program. After completing field and laboratory work, students will pay a visit to K’Ho Coffee, a socially responsible coffee growing cooperative composed of dozens of indigenous ‘K’ho’ families living at the foot of Lang Biang Mountain, as well as Dabla Village, which has revived ancient weaving traditions with the help of the Japanese government. “Done right, tourism can be a powerful vehicle for fostering international understanding and alleviating poverty,” says Jackson. 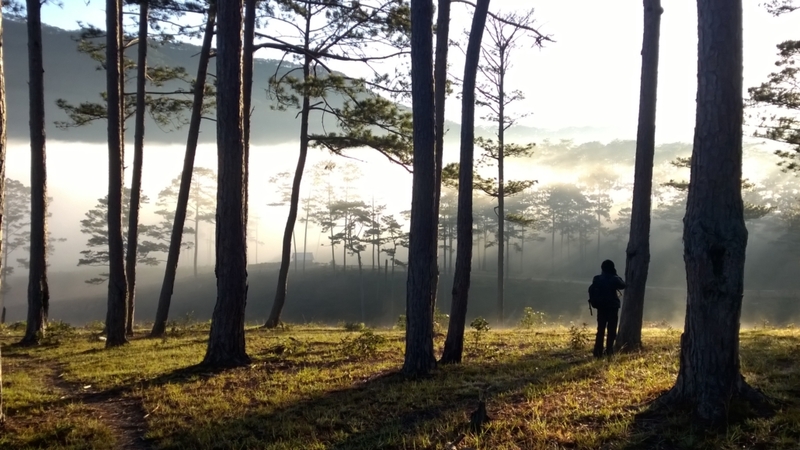 Future plans include a multi-day trekking trail system to connect BDNP with neighboring national parks, Chu Yang Sin to the north and Phuoc Binh to the south, expanding the field school in both directions. This story was adapted from a story originally appearing on the website of Shenandoah University. For the original piece, visit su.edu/blog. Bishop and Professor Will Willimon boasts some impressive stats. That he’s written 60 books is amazing on its own. That he has managed, at the same time, to pastor seven United Methodist congregations, serve on the faculty at Duke University for a total of 23 years, and preside as Bishop of Northern Alabama for the better part of a decade is astounding. Following a career in the church that started in 1971, Willimon has been enjoying retirement since 2012 (a “retirement” that still involves a faculty position at Duke, naturally). Looking back at that career, it’s no surprise that, as a young student graduating from Wofford College in 1968, he was a Sullivan Award recipient. His record of reaching out to others through his intellect and pastoral skill runs deep. A native of Greenville, South Carolina, Willimon’s early exposure to the church was at Buncombe Street United Methodist. 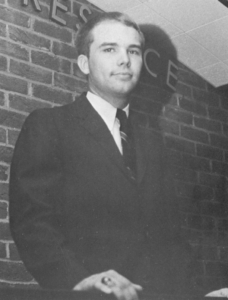 Shortly after his college career at Wofford, he married his wife, Patsy, before moving on to Yale Divinity School for his master’s degree and Emory for his doctorate. Will and Patsy went on to have two children. Willimon also went on to become one of the most influential preachers and religious writers in America. Among his extensive catalog are inspirational books for Christians, instructional books for clergy members … even novels. He was even identified as one of the “twelve most effective preachers in the English-speaking world” in a 1996 survey by Baylor University. Willimon’s newest novel, “I’m Not From Here,” was released in November 2015. It’s the second he’s published since stepping down as bishop. If past performance is any indicator, he’s probably in for a busy retirement. When Bernice Cobbs was a young girl growing up in the rural South, she never saw going to college as a realistic dream. In her community, just graduating high school was a major accomplishment. Until integration came in the fifth grade, she couldn’t even expect to get the same quality grade school education her white peers expected. In fact, Cobbs married her husband, Hildred, and gave birth to her two children, Bradley and Kimberly, before deciding to pursue her dream. The choice wasn’t easy – the commitment of time and money were difficult to come by while raising a family. Still, with encouragement from her husband, she earned an associate’s degree from Virginia Western Community College. With that first obstacle overcome, the dream that had seemed out of reach suddenly became attainable. Cobbs graduated from Ferrum College in 1998 with honors and an Algernon Sydney Sullivan Award. Cobbs had grown from a girl who feared being laughed at for her ambition into a woman whose horizons were boundless. 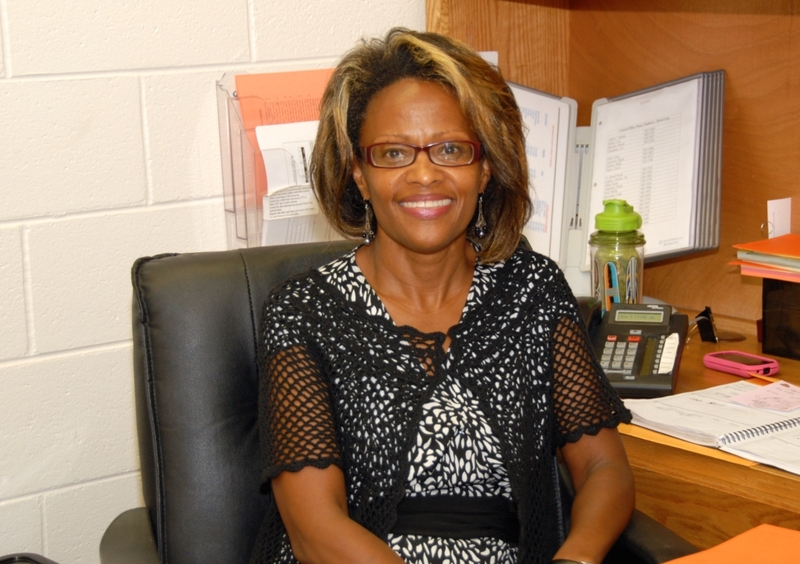 She went on to earn master’s degrees from the University of Virginia and Radford University and, finally, a doctorate in educational leadership from Virginia Tech. For Cobbs, equipping herself to lift up the people around her was as important as the degrees themselves. She has won numerous teaching awards, worked as principal at three schools, and served on many school and community boards. Because education changed her life and opened a world of possibility to her that she couldn’t have dreamed of as a child, Cobbs strives to provide the same opportunities for others — especially those facing challenges similar to those she faced herself. It’s a pathway that can change the course of generations to come. Cobbs’ own children are both college graduates — Bradley from Carson-Newman College and Kimberly from Virginia Commonwealth University. Through its summer programs, special events, and retreat weekends, The Sullivan Foundation has been promoting service and social entrepreneurship beyond its awards and scholarships for a long time. It’s easy to make the case that 2015 was the Foundation’s best year ever, and 2016 promises to be even better. The most recent Ignite Retreat for social entrepreneurship, held in October, drew students from 22 universities across the Sullivan network. 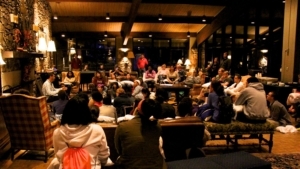 Held in the Blue Ridge Mountains of North Carolina, the retreat was the largest to date, with nearly 100 participants exploring ways to create positive change in the communities around them. With piles of cardboard, post-it notes, and markers strewn throughout the conference center, participants bounced between workshops offered by the facilitators. Topics ranged from unlocking creative solutions when brainstorming to networking and pitching social venture ideas. Saturday evening concluded with a special talk from Tom D’Eri, founder of Rising Tide Carwash, a social venture that provides meaningful employment to individuals with autism. D’Eri’s talk served as an inspirational jumping-off point for Sunday’s Prototype Crowdfunding Competition. Students pitched projects they had worked on throughout the weekend in hopes of winning a cash prize to help make their ideas realities. 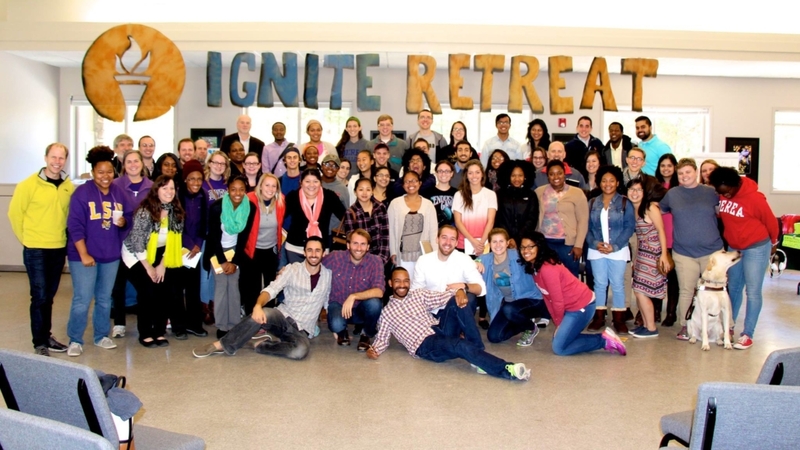 Two more Ignite Retreats will take place in 2016. This year, however, will feature a new addition to the lineup that promises to expand the scope of the Foundation’s campus impact. The spring retreat — scheduled for April 8-10 in Raleigh, N.C. — will include the first-ever Sullivan Foundation Faculty and Campus Leadership Summit. The Sullivan Summit is designed to promote deeper understanding of the social innovation and entrepreneurship community among faculty and campus leaders across the Sullivan network. Through social events designed to bring together change makers of all stripes and a full slate of workshops and panels, the new event will inspire fresh thinking and expose participants to tools that can be applied on their campuses and in their classrooms. The summit is designed to allow participants to share best practices, create a new peer-learning community, and get feedback that can accelerate change when they return home. More information is available on the events page at sullivanfdn.org. As always, thank you to our students, to our faculty, to our alumni, and to our friends for taking a look at the new issue of Engage. This marks our tenth edition and our fifth year of producing this magazine, and I hope it’s been as enjoyable for you to peruse as it has been for us to create. Nothing brings the staff at the Sullivan Foundation more pride than digging into what our schools are up to in service and social entrepreneurship. As I scan through the pages in this issue, I notice a trend. Building community is a crucial part of creating a better world, and our schools are working hard to create supportive, innovative communities that serve on their campuses and in their communities. 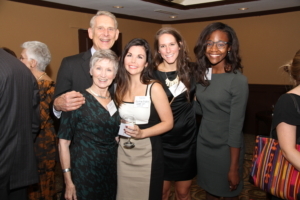 At the same time, the Foundation is at the dawn of a new day in which we hope to broaden our own community building efforts—expanding our media outreach, increasing our programming, and strengthening the ties between Sullivan Award and Scholarship recipients, alumni, and friends. We all work better when we work together. The stories in this issue are an inspiration for us as we continue to improve and become an ever more beneficial presence in the lives of students. I’m also proud to feature several schools in this issue that we’ve never written about before. It’s amazing that we can fill ten magazines with stories and still have more schools left to write about. Hello to all, and welcome to the 11th issue of Engage. As always, it’s an exciting time here at the Sullivan Foundation. Our Ignite retreats and faculty summits saw record attendance in 2018, and we’ll continue to expand our offerings in 2019. Our faculty fellows have used our resources to do amazing things on campuses and around the world. And our award winners are inspirational people making real, tangible changes in lives and communities. You’ll meet some of these outstanding people inside the pages of this issue. Whether it’s Randolph-Macon College travelling to support a community in Guatemala, award recipient Cindy Jackson’s inspiring work to treat burn victims all over South America, or the quietly inspirational life of late alumnus Ray Bottom, who dedicated himself to his own community for decades at Randolph-Macon—it’s the work of people that make this community the amazing thing it is. As always, we want to hear your stories, so feel free to send us one if you have something you wish to share. We might just be able to feature it here or on our website. Speaking of the website, we’ve revamped it with a new design and new features to make it more informative and useful for members of the Sullivan family. Drop by and take a look when you get a chance. It’s at sullivanfdn.org. Thanks as always for your interest in the work we do and for doing the outstanding work that you do. You continue to make us proud. 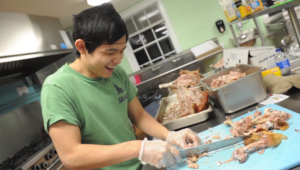 A Service House student chops meat while working at the Campus Kitchen at Washington and Lee, a project that reuses food that would otherwise go to waste. The CKWL is a primary service project for house residents. During a snowball fight last year at Washington and Lee University’s Global Service House, the camaraderie of students could be heard in their laughter. The facility opened in fall 2012 and houses 17 students—approximately 60 percent international students and 40 percent domestic students. In addition to bringing international and domestic students together, the house unites students that care about service. When Larry Boetsch, director of W&L’s Center for International Education, was researching the university’s Global Learning Initiative, he discovered that a high percentage of international students volunteer in the local community. The experience of living there is as illuminating for domestic students as it is for international students. “I have learned more about the cultures of other students and about the world than I ever thought I could without actually leaving the United States,” says New Jersey native Maya Epelbaum. Trevin Ivory from Oklahoma City agrees. He and his housemate, Mohammed Adudayyeh, who is a Palestinian from the West Bank, have formed a friendship and started a dialogue. The students have provided their peers with new opportunities by introducing each other to their personal volunteer projects. 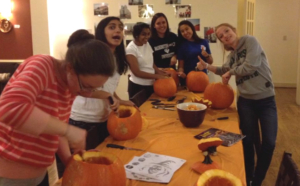 “A lot of students are really committed to community service, and they invite other students to their activities, such as volunteering for Habitat for Humanity, recycling, or tutoring children in Lexington,” says Sequeira. The facility is, in fact, a tangible manifestation of W&L’s Global Learning Strategy. 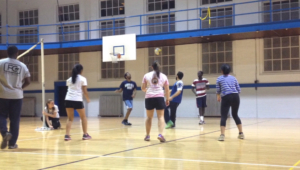 This article is an edited version of a piece that appeared originally on W&L’s website. 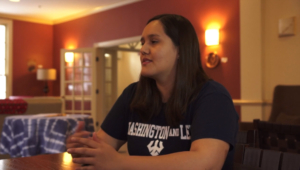 For more W&L news, visit columns.wlu.edu. 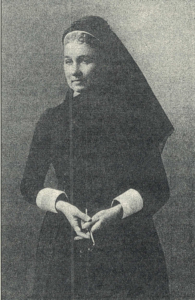 After the death of Algernon Sydney Sullivan in 1887, Mary Mildred Sullivan and the couples’ son, George, went through a long period of bereavement—Mary Mildred Sullivan barely made it through the funeral, and went on to wear black for the rest of her life. As was the family tradition, however, the mother and son team eventually began looking for ways to serve the public. Perhaps, in addition to their natural inclination to serve, pouring themselves into work was a way of coping—doing exactly what Algernon Sydney Sullivan would have done. Mary Mildred Sullivan was a southerner, and her continued concern for the recovery of her home after the Civil War led her to find ways to contribute to its wellbeing. 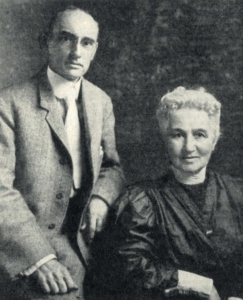 Among her many endeavors, she supported and solicited donations for the Southern Industrial Education Association, established to aid so-called industrial schools, which provided basic education in areas in the South where public education still didn’t exist. At the same time, George Sullivan had been building a vast art collection, visiting galleries in between his periodic illnesses (George, like his father, had poor luck with health). He collected prints, artworks, rare books, and historical documents. 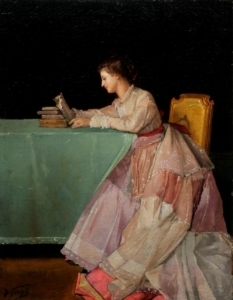 While the Sullivans may have been great lovers of art for themselves, they were more interested in how their collection could be of service to others, and they did not hold it privately for long. They began disbursing their holdings in gifts to colleges and libraries. All told, the Sullivans donated some 10,000 works of art to various institutions. Peabody College flourished into one of the finest schools of education in the nation in the early part of the 20th century. Its on-site high school, where aspiring teachers did their student teaching, was among the first Southern high schools to be desegregated in the early 1960s. By the late 1970s, however, Peabody had fallen on hard times, with a financially untenable situation. 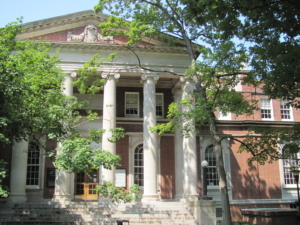 Fortunately, a solution was found as the school merged with its across-the-street neighbor, Vanderbilt University, where it remains to this day as the Peabody College of Education and Human Development. It is routinely cited by U.S. News and World Report as the top graduate school of education in America. The Sullivan Collection lives on at Vanderbilt today as well, with 86 catalogued pieces of art (curators believe there are many more that have yet to be catalogued). George Sullivan even followed up he and his mother’s art donation with another gift in 1937, for the construction of painting storage racks. The racks are still in use. Since 2007, students from Sewanee: The University of the South have been leaving their mountaintop campus in Tennessee and crossing the globe in search of new experiences and a world-class education in social entrepreneurship. 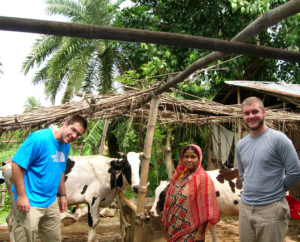 Through the Social Entrepreneurship Education Program (SEED), summer internships take them to places like Bangladesh, China, and Indonesia, as well as some places at home in the U.S. The SEED program is a crucial part of a surge in social entrepreneurship education at Sewanee over the last decade, which has included the introduction of new social entrepreneurship academic tracks as well as heavy student participation in the Sullivan Foundation’s Ignite retreats. lectures and workshops with faculty and alumni. Participants in SEED get to work as interns at some of the most innovative and successful socially-conscious companies in the world. For instance, in Bangladesh, students work with the Grameen Bank, which describes itself as the “Bank for the Poor.” It provides credit to the poorest of poor Bangladeshi citizens with the aim of lifting them out of poverty. Despite requiring no collateral for their loans, the bank has an amazing 97% repayment rate. 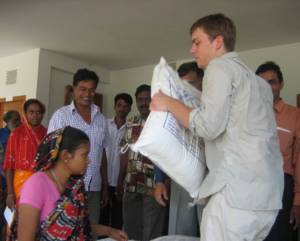 “Microfinance” organizations like Grameen Bank have been the focus of most of the internships, but students also get to work with more traditional, well-known institutions, like the United Nations World Food Program, the world’s largest humanitarian organization. Students receive a special certificate for completing the program, but the biggest thing they get is exposure to a new way of thinking that sends many of them on to careers making a living by making life better for others. 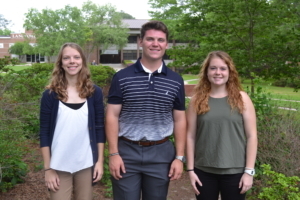 Thanks to Sewanee for their help preparing this article and providing photos. On the second floor of Newberry College’s Keller Hall stands a bridge that links the 161-year-old institution to the rest of Newberry County, South Carolina, and beyond. Though not a physical bridge, the Muller Center brings together faculty, staff, students, and the community for service in the Lutheran liberal arts traditions of civic engagement, ethical deliberation, and vocational exploration. It’s the kind of community-college connection that has been a successful model at so many Sullivan network schools. 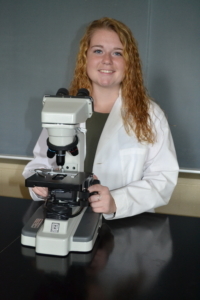 And one of its most recent student research fellows happens to be a Sullivan Award recipient. A major purpose of the Muller Center is connecting faculty, staff, and students to community organizations in and around Newberry, so that they may greaten their impact, give back to the community, and expand their understandings of vocation, ethics, and civic engagement. Dr. Krista E. Hughes, the Center’s director, says that the Muller Center’s three central tenets, vocational exploration, ethical deliberation, and civic engagement, go beyond simple volunteerism or activism. 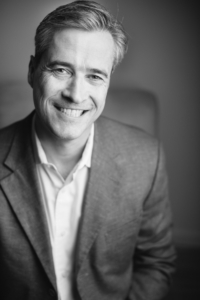 “Volunteering in the community is fundamental, but the center emphasizes the importance of doing the work, reflecting on what one’s values are, and on how one has changed self and community through the work,” says Hughes. The college’s AmeriCorps VISTA works out of the center to cultivate long-term relationships with community partners. The AmeriCorps VISTA program, or Volunteers in Service to America, is a federal program designed to alleviate poverty through volunteerism. Since its inception, the Center has provided not only chances to volunteer with local community partner organizations, but also opportunities to independently work, research, and deliberate. These initiatives include the Sojourners Initiative, a program engaging second and third-year students in self-reflection and community service projects; as well as the Muller Student Research Fellowship, which guides and funds select student service projects to connect coursework and research to civic and community needs. The Center also works with the College’s civic engagement courses, offers travel grants for off-campus service coursework, and provides a fellowship for faculty and staff, along with a host of other current and future programs. Among the most recent batch of student research fellows is Benjamin Herring, a Hopkins, South Carolina native, who also had the distinction of receiving a Sullivan Award at his recent graduation. 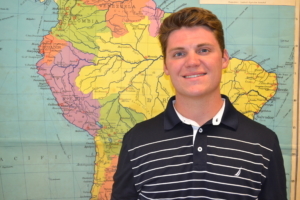 A summer internship in Quito, Ecuador was the foundation for his project. 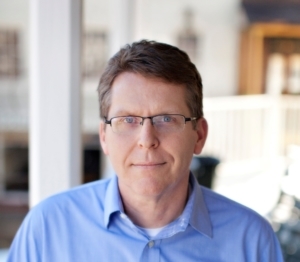 Combining on-the-ground experience with research, Herring sought to develop a strategic management system specifically for international non-governmental organizations. 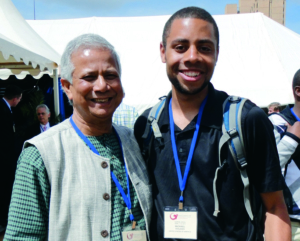 Locally, he worked to educate about the global aspects of civic engagement. The types of projects students can use the fellowship for are wide-ranging. Sarah Johnson and Mariah Lee, the other two members of Herring’s fellowship class, worked on vastly different topics. 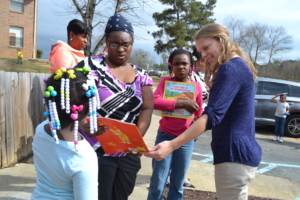 Johnson focused on early literacy in education while Lee conducted microbiology research and studied vaccination rates among the elderly in Newberry County. Newberry is a Lutheran school, and that Lutheran philosophy is central to the Muller Center’s mission. The center was founded in January 2015 with funds bequeathed by John D. Muller to support students pursuing ministry to church and world. As the Muller Center enters its third full year and a bright future ahead, more and more students will discover just what their gifts and talents are, and where the world needs them. This article was adapted from a piece by James Salter that originally appeared in The Newberry Observer. To read the original, visit newberryobserver.com. Additional reporting comes from Newberry College. To learn more, visit newberry.edu/news.